This is Phase 2 of a commission from local clients. They had commissioned the Tile Tapestry created last year, as part of this project. 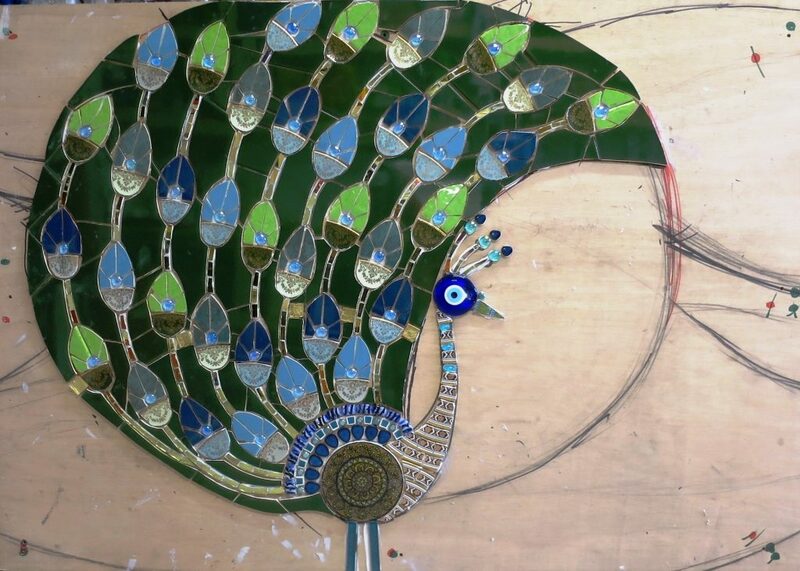 This is a three panel mosaic on marine plywood using crockery and external grade ceramic tile. Two panels measure 120 x 100 cm and the central panel is 144 x 100cm.